The Fate series has a varied history, ranging from eroge, to visual novels, video games, anime, and manga. Released early in 2017, the Fate series got its first current gen game, Fate/Extella: The Umbral Star. We later got Fate/Extella Link, a direct sequel to Umbral Star in the Fate/Extra storyline. 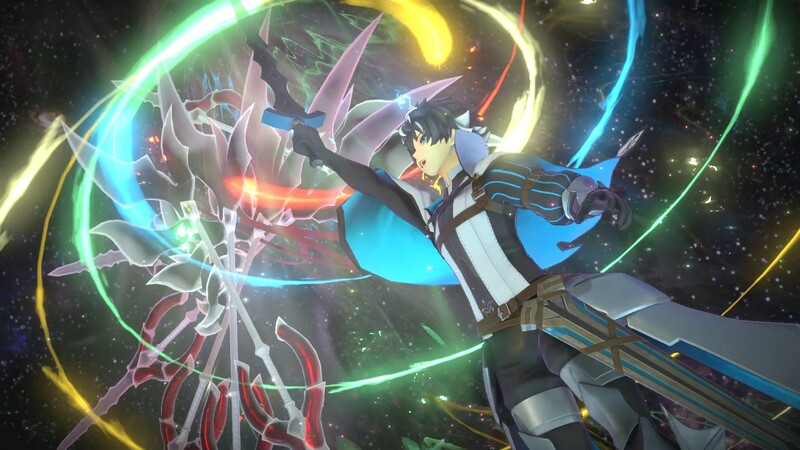 I had played Umbral Star on the PS4 and had been a fan of the series for several years, so it was a pleasure to be able to speak with the people at Marvelous, and Extella/Link was a game that I was very excited for. Lately though, it was becoming apparent that several games I had been excited for hadn’t lived up to expectations. Fortunately however, Fate/Extella Link turned that all about, being an improvement in all areas over its predecessor. Read on to find out why! Fate/Extella Link is a direct sequel to 2017’s Umbral Star as I mentioned earlier. 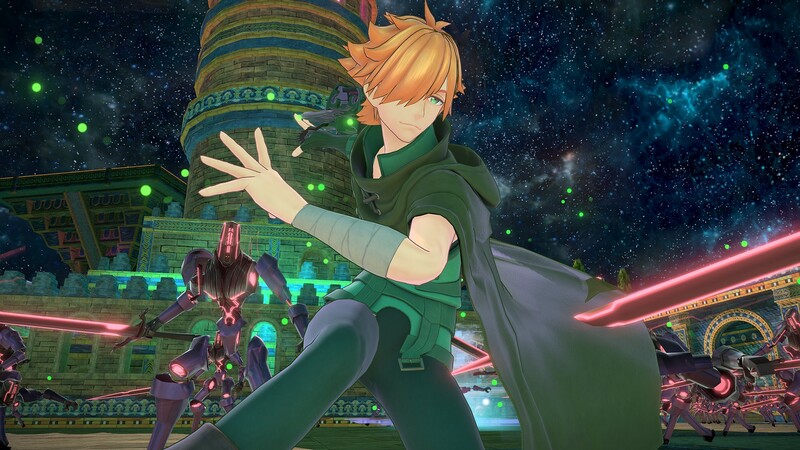 Don’t worry though, Extella Link doesn’t require you to have played all of Fate/Extra or Umbral Star in order to understand what is happening in Link. It does help, however, to have a bit of knowledge regarding the Fate series and possibly what occurred in at least Umbral Star. Extella Link does assume the player knows exactly what SE.RA.PH is and why everything is in a digital setting. Outside of that though, the story is fairly straight forward. The good thing about all of this is that with just a cursory understanding of what the Fate series is, the average player won’t be too terribly lost when it comes to Link. 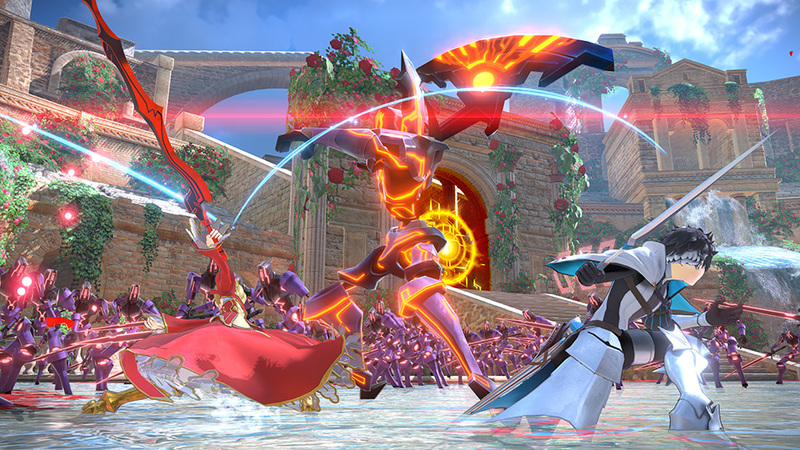 In Extella Link, the player takes on the sole remaining master in all of SE.RA.PH, having halted the machinations of the big bad in Umbral Star. At the start of Link, it appears as if all of SE.RA.PH is finally at peace, and humanity (or a form of humanity at the very least) can finally begin to move on and start to grow again. Unfortunately, due to the very nature of SE.RA.PH and the Fate series in general, the peace is short lived. Former servants who were on your various factions in Umbral Star are suddenly enemies in Link, and new servants, including fan favorites from Grand Order and Apocrypha make an appearance and join the fray to stop the all out war that has suddenly consumed all of SE.RA.PH once again. Like I said, you really don’t need to know all of what happened in Umbral Star to understand what is going on in Link, but it really does help. That’s probably the only major issue I have with Extella Link. As I mentioned earlier in the opener, there’s a lot of confusion when it comes to the entirety of the Fate series and Extella Link really doesn’t help to alleviate the confusion at all. 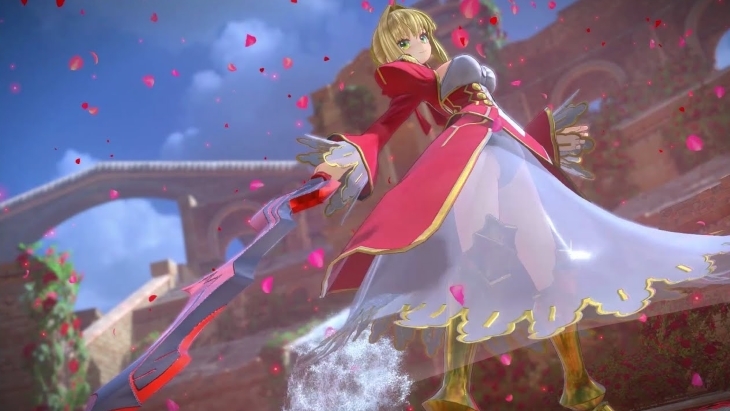 Realistically, Fate/Extella Link is a continuation of the Fate/Extra series originally seen on the PlayStation Portable, with a follow up side game Fate/Extra CCC, coming out shortly after. Here’s a little tip: If you want to see an alternate version of what is going on in Link, I would suggest watching Fate/Extra Lost Encore on NetFlix. This will probably be the only time I ever say this, but Lost Encore has the same setting, terminology and a lot of similar characters to Link. If you want to understand exactly what SE.RA.PH is and what has happened, Last Encore should get you fairly well caught up so you can more fully enjoy the story and lore in Link. There are several different series in the whole Fate franchise and no real rhyme or reason with it. Unfortunately, it’s extremely difficult to get the full Fate/Extra story if you don’t have access to several older portable consoles where the previous games are located. On top of that, the Fate series likes to incorporate different “alternate” stories along with the different series. As I said earlier, you can watch Fate/Extra Last Encore to get an idea of what is going on, but it is part of the whole “alternate timeline” approach the Fate series uses. The big improvement when it comes to the story, is that while Extella Link retains some of the Visual Novel approach to storytelling that Umbral Star used, it is by no means as prevalent as it was in the previous game, which I’m extremely grateful for. That was one of my biggest complaints with Umbral Star. You could be playing through a very well done musou game, then be slogged down by a very slow Visual Novel story. I’m not ashamed to say that I almost fell asleep a few times playing through Umbral, just due to how slow the story was presented. 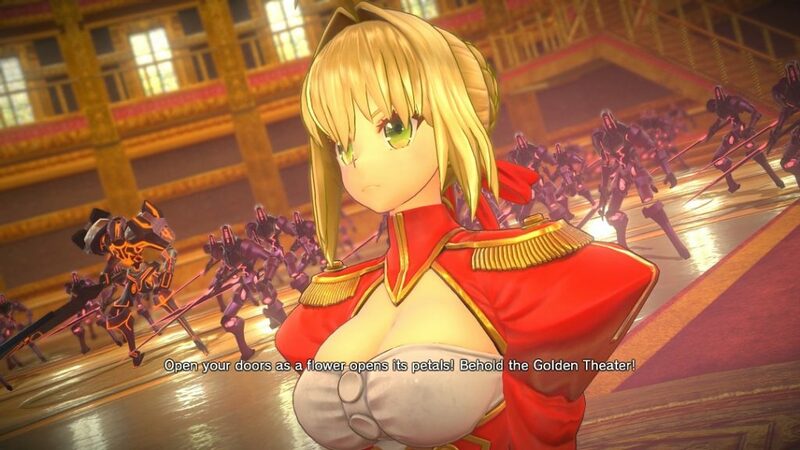 In Extella Link however, the servants and their conversations between each other and the MC are presented in cutscenes, with the interactions right on the screen, with much more truncated Visual Novel scenes interspersed throughout. So the story is much more fun to see and, while not engaging per-say, is certainly more attention-grabbing than the slow Visual Novel style the previous game used. 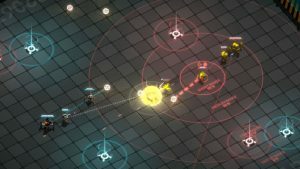 On the topic of improvements, the gameplay got a fairly substantial overhaul as well. 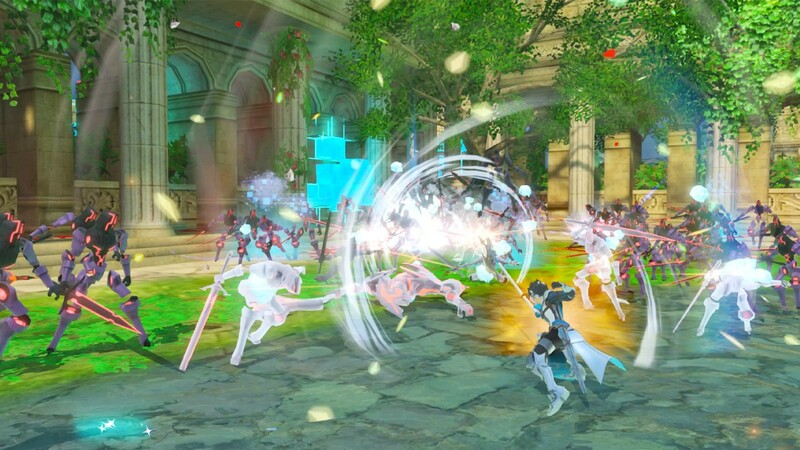 While still retaining the musou style of the previous game, there have been quite a few improvements to make the overall game much faster, fluid, and engaging than just mashing light and strong attacks for combos while occasionally using command seals and noble phantasms (maybe) during a given map. Servants are now able to quickly pop off several different attacks and spells with usually nothing more than a minor cooldown, usually in the range of 6-10 seconds per. Stronger skills will require almost a minute, but they’re usually well worth their cooldown. On top of all that, Noble Phantasms no longer require finding three seals throughout the battle. Instead, the NP gauge will fill alongside a corresponding Moon gauge during fights with the mooks and other servants in the battlefield. Once the NP gauge is filled, you are able to unleash your servants major attack, usually decimating all lower level enemies in the room and crushing any servant found there. Even the battles main servant, fought at the end of the battle, will take major damage, allowing for quick ends to most fights. You will still find the three seals during the map, but these will just quickly fill the gauge. They’re not required for the Noble Phantasm any more. The Moon gauge will allow the controlled servant to gain an increase in attack power and speed, as well as unleash yet another very strong attack if a button command is pressed before the Moon gauge depletes completely. 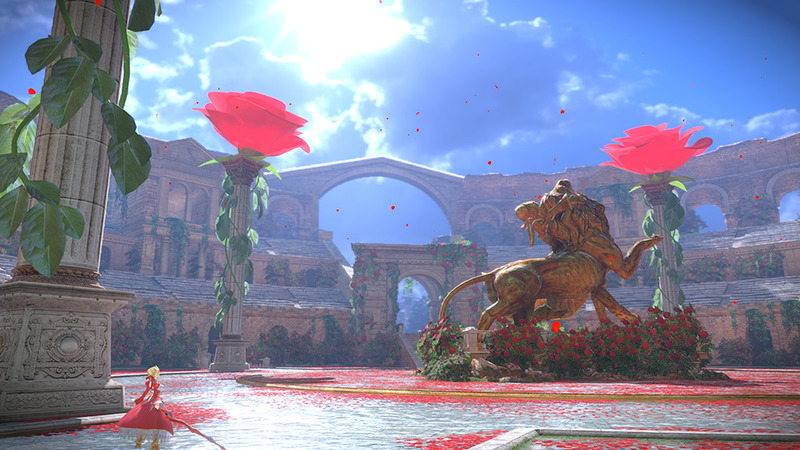 When played on Easy or Normal difficulties, this means that most fights are fairly easy as long as the player isn’t concerned about the optional objectives in a given map. Playing on hard however, these new additions and quality of life improvements are almost required to successfully complete each battle. As per usual, the better you do during a battle, the better your rewards, exp and currency you will receive at the end. Quite often, you’ll get much better items used to increase the stats of your servants, as well as the items required to craft better items that the MC can use during battle. Graphically, while still supporting a Vita version, Fate/Extella Link is still an improvement over the first one. Playing on the Nintendo Switch, I never really noticed much slow down or frame drops, even during hectic fights. 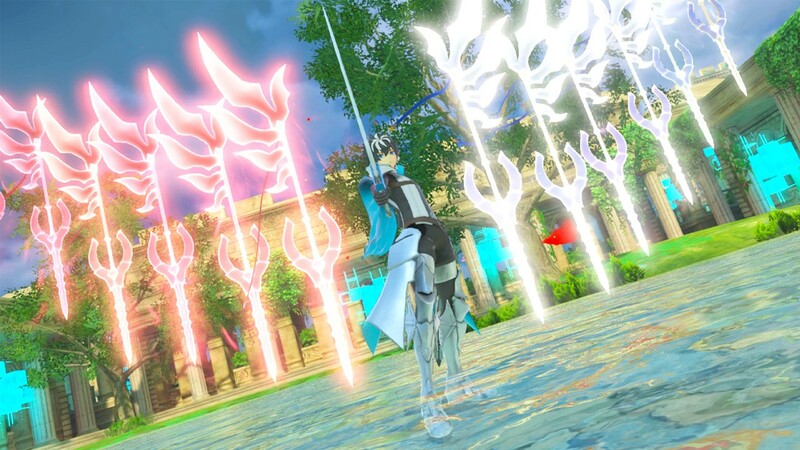 The Noble Phantasms, Moon gauge attacks, cutscenes, or even the environments themselves all look fantastic. 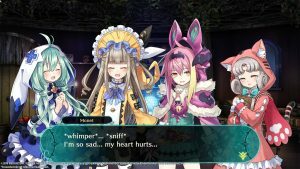 Lately, I’ve found myself playing more and more games on the Switch, especially in handheld mode, and I never felt like I was being shorted in the graphics department with Extella Link. At the start of each battle, you’ll get a quick view of different locations and views for the upcoming fight, and even those looked really really good. While not a complete overhaul from Umbral Star, Link still looks and runs better than its predecessor. 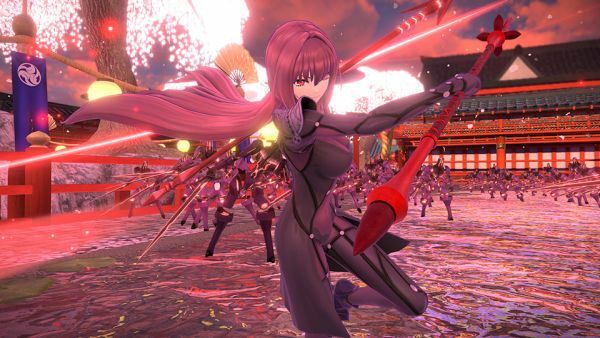 There are other improvements and additions to Fate/Extella Link, such as a very fun multiplayer addition, as well as being able to explore the new home base. In the home base, the player can converse with their servants, level them up using currency, install new skills and upgrades, and change their appearance (as long as you have unlocked or purchased new costumes). This is different than the menu driven interface found in Umbral Star. The multiplayer is fun, but will eventually devolve simply into who can unleash their Noble Phantasm first. Although, for a new mode and one that isn’t required to enjoy the main game, it’s a nice little diversion if you want a break from destroying legions upon legions of mooks. All told, Fate/Extella Link is an overall improvement to an already very fun and enjoyable predecessor. 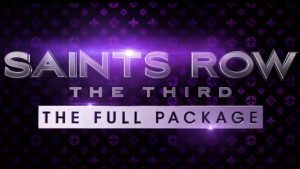 While not perfect, fans of the Fate series or musou games in general will find a ton to enjoy and have fun with. 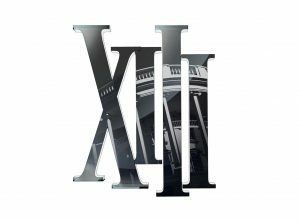 Just be aware that the story might be a bit convoluted, especially right at the start, or at least until you have moved forward with the story a bit and read some of the infographs during the load screens. This is perhaps one of the only times I will recommend to our readers to watch the anime before or during a playthrough to help understand exactly what is going on, but it’s worth it and will help with the overall understanding of the game, to an extent. So is Fate/Extella Link worth it? Very, very much so, dear reader. 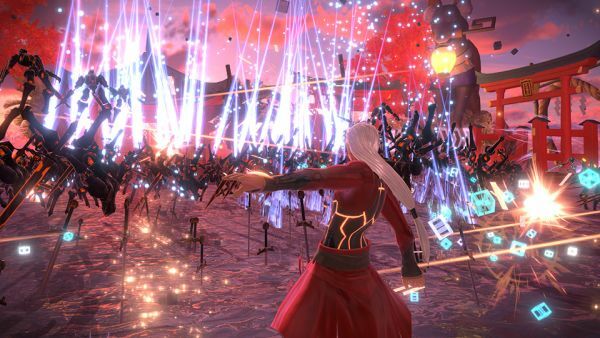 If you’re a fan of musou games or the Fate franchise of games/anime, this is pretty much a no brainer for you. Pick up post haste! If you’re not a big fan of musou games, the Fate series or traps, Extella Link is still might be worth a pick up, at least to try it out. 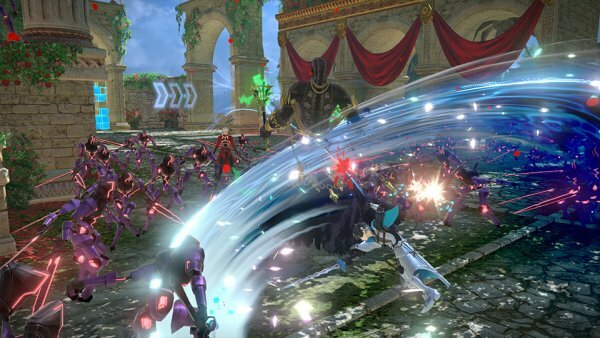 Fate/Extella Link was reviewed on Nintendo Switch using a copy purchased by Niche Gamer. You can find additional information about Niche Gamer’s review/ethics policy here.